US has “no accurate, comprehensive, and public estimate of broadband coverage”, Microsoft tells lawmakers. According to Federal Communications Commission chairman Ajit Pai, the FCC’s current strategy has done wonders for closing the digital divide between those with access to broadband and those without it. The FCC’s actions for “removing barriers to infrastructure investment” coupled with its Connect America Fund have resulted in a significant boost in broadband access across rural America, according to Pai. Now Microsoft has added its voice to those challenging the accuracy of the FCC’s broadband claims. After removing the Barrier Communications data, Free Press estimated the “the number of Americans lacking access to a fixed broadband connection at the 25Mbps/3Mbps threshold declined to 21.3 million, not 19.4 million”. The FCC’s current 2018 Broadband Deployment Report indicates that “over 24 million Americans still lack fixed terrestrial broadband at speeds of 25Mbps/3Mbps”. The FCC estimates that “92.3 percent of all Americans have access to fixed terrestrial broadband at speeds of 25Mbps/3Mbps”. Microsoft contends the percentage of Americans who lack access to broadband at 25Mbps/3Mbps speeds is “much higher” than the FCC’s estimates. “The government’s most current broadband statistics come from the FCC and suggest 25 million Americans lack access to a broadband connection. There’s strong evidence, though, that the percentage of Americans without broadband access is much higher than the figures reported by the FCC,” wrote John Kahan, Microsoft’s chief data analytics officer. Microsoft decided to release its own data ahead of Wednesday’s “Broadband Mapping: Challenges and Solutions” hearing being held by the US Senate Committee on Commerce, Science, and Transportation. Rather than 25 million people without broadband, Microsoft’s research indicates “162.8 million people are not using the internet at broadband speeds”. The figure is derived from data Microsoft collects to improve the performance and security of its own software and services. Given Microsoft’s regular updates to Windows users, which can be gigabytes in size, the company would be well-placed to know the state of broadband in the US. 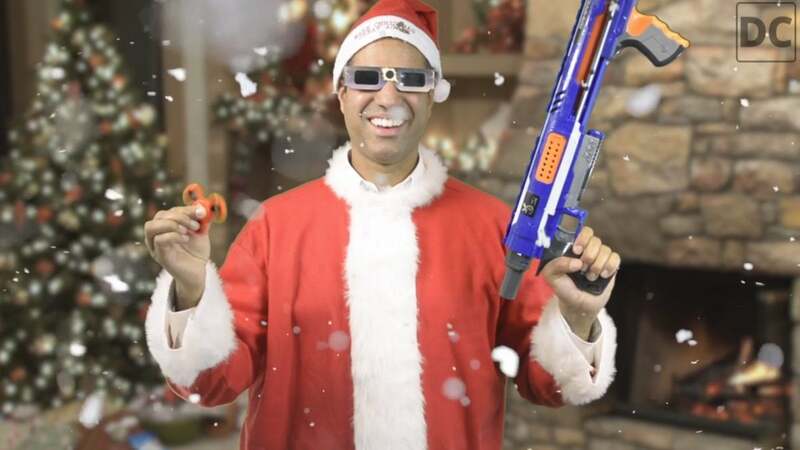 “Our results align well with the FCC’s broadband subscription data and the Pew Research numbers, which suggests these data sets are far closer to the mark then the broadband access data reported by the FCC and leaves us with the inescapable conclusion that today there exists no accurate, comprehensive and public estimate of broadband coverage in the United States,” continued Kahan. Kahan uses Ferry County in Microsoft’s home state of Washington as an example. The FCC’s data, based on form 477 filings, indicates the county has ubiquitous broadband coverage. Microsoft’s data however shows that only two percent of Ferry County is using broadband. The same goes for Mississippi, where the FCC indicates broadband is available to 97.1 percent of people in Tishomingo County, Microsoft’s data shows only 3.6 percent of the county uses the internet at broadband speeds. Kahan says there are “significant discrepancies across nearly all counties in all 50 states”. The company says there is a major problem with the FCC’s reliance on Form 477, which asks providers whether they are “providing or could …without an extraordinary commitment of resources provide broadband service to an area”. If the provider answers yes to either question, the FCC considers the area covered, even if the area isn’t and the provider has no plans to. The other key problem is the FCC’s use of census blocks, which lacks location specificity. “In rural areas, these blocks can be quite large. If broadband access is delivered to a single customer in that block, the entire block is counted as having service. We must be able to count those within the census block who are unserved,” wrote Kahan. Microsoft has asked members of the Commerce committee to remove “could provide” from the question in Form 477. It also wants the FCC to use “both availability and actual usage (and/or subscription data)” to guide investment. “Our data science team has reviewed the draft report from the FCC and compared it to our latest usage data. We found that the increase in access reported in that draft document has not translated into broadband usage growth, especially in rural areas. This demonstrates the need to make significant adjustments to methodology prior to release,” wrote Kahan. Microsoft has blocked this week’s monthly and security-only Windows 7 and Windows 8.1 updates for Sophos antivirus users after widespread reports that computers failed to boot after installing them. The problems are caused by Microsoft’s Tuesday Windows 7 and Windows 8.1 monthly rollup and security-only updates KB4493467, KB4493446, KB4493448, KB4493472, KB4493450 and KB4493451. “Microsoft and Sophos have identified an issue on devices with Sophos Endpoint Protection installed and managed by either Sophos Central or Sophos Enterprise Console (SEC) that may cause the system to freeze or hang upon restart after installing this update,” Microsoft said in an update on Thursday morning, European time. Avast says Windows 7 machines in particular “are becoming locked or frozen on startup after Microsoft updates KB4493472, KB4493448, and KB4493435”. Microsoft hasn’t listed a block on the updates for Avast users. Avast customers with Avast for Business and Avast Cloud Care, primarily on Windows 7, have reported machines becoming “stuck or frozen on the login/Welcome screen”. Some users cannot log in at all, while other users can log in after a “very extended period of time”. The Internet: can’t live with it, can’t live without it. Whether you’re using it to pay your bills online, watch your favorite streaming service or connect with friends via social media, a strong Internet connection is a crucial staple in many households. But just as shutting down your computers can benefit its performance, rebooting your router can also help. But restarting your router is about more than just getting a speedier connection for online shopping. It’s also a way to prevent yourself from being hacked. Last year, the FBI recommended all home and small business routers be rebooted after foreign hackers compromised thousands of networks worldwide. Using a malware called VPNFilter, the hackers were able to collect information, exploiting the device and blocking network traffic, rendering the routers inoperable. Shutting off the device would temporarily disrupt the malware. Merrill also recommends keeping your firmware, which provides network protocols, security, and administrative controls, updated to prevent further security threats and restarting after every update. While experts agree rebooting your router isn’t an exact science, it’s a simple thing to do when facing Internet woes or security issues. Microsoft is almost ready to officially roll out the Chromium-based Microsoft Edge. Early leaks have already given us a fair idea of what to expect but it looks like Microsoft might have a surprise for us. It looks like Chromium-based Microsoft Edge would be able to support 4K video streaming. First spotted by HTNovo, a flag inside Microsoft Edge would allow users to enable 4K streaming. This is a big deal since Microsoft Edge is the only browser to natively support 4K streaming. Microsoft will be using PlayReady to support 4K streaming on Edge. Unfortunately, this will work only on Windows 10 which means older version of Windows or other platforms won’t support 4K streaming. This should give Microsoft a competitive advantage as the company looks to acquire market share which is dominated by Google Chrome. Tomorrow, the iPad officially turns nine years old, so it’s been almost a decade since Apple began selling tablets as “post-PC” computers. I’m a day one iPad user and consider myself a fan: I attended the original model’s January 2010 unveiling, bought both Wi-Fi and Wi-Fi + 3G Cellular versions when they hit stores, and have either purchased or used every model Apple subsequently released. But after nine years, I’m not blind to the iPad’s persistent weakness: Regardless of whether I spend $329 on an entry-level iPad or $999 on a laptop-sized 12.9-inch iPad Pro, I still can’t use an iPad for work. Apple has created hardware that’s fantastic for reading and entertainment, but its iOS software deliberately keeps iPads from wholly replacing laptops, despite accessories that have tried for years to make that possible. According to Tech News World Apple has announced a new 10.5-inch iPad and a refresh of the iPad mini. The iPad Air features 64 gigabytes of solid-state storage and WiFi support, as well as Apple’s newest cutting edge mobile processor, the A12 Bionic chip. The upgraded version supports Apple Pencil and a smart keyboard. The 10.5-inch model will sell for $499. The 7.9-inch iPad mini also features the A12 chip and WiFi support. The mini will sell at a base price of $399. This should be embarrassing and concerning for Apple, but apparently it’s not. At one point, iPad sales were growing steadily every year, but they plateaued years ago and haven’t changed much since then. Numerous journalists and customers have asked Apple to do something big to move the iPad forward, but they’ve been met with the digital equivalent of silence. 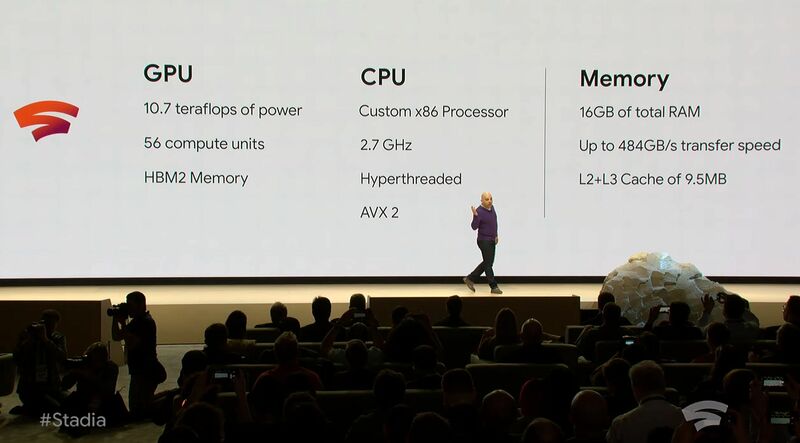 Meanwhile, we get “what’s a PC?” ads and “most powerful iPad ever” keynotes — heavier-handed marketing rather than anything bold in iOS software. From my perspective, the “something big” next step has been obvious since the day the iPad was confirmed to run iOS: Enable at least some iPad models to transform into full computers. Treat the iPad like the lid of a laptop, add a proper keyboard and trackpad base to it, and either update iOS to run Mac apps in windows or let iPads dual-boot macOS as needed. This is a no-brainer solution — even after its disastrous Tablet PC initiative, Microsoft figured it out immediately with Surface. Above: A mockup of how an iPad Pro would look running macOS. Missing: a trackpad for precision navigation. Professional users would likely pay as much as $300 for an iPad Pro-exclusive keyboard, trackpad, and extra storage accessory with its own macOS partition. If it was offered at a more affordable price for regular iPads, as well, it would probably be the most popular iPad accessory in the world besides Lightning cables. Instead, Apple has kept iPad prices artificially high, and focused on small tweaks. Amazon sells 7-inch tablets for $50, and Apple sells 7.9-inch tablets for $399 — certainly better tablets, but for many users, not eight times better tablets. Meanwhile, the iPad version of iOS has settled into functional stagnation, and Apple’s once cutting-edge tablet form factor became predictable: a slave to hand-me-down flagship iPhone technologies and designs. There are now more “types” of iPads than ever, but they’re all really the same device with different screen sizes and accessories. The just-released iPad mini and iPad Air models are undeniably boring — not bad, but not remotely new in any way. This photo shows five different iPad models including the latest basic, midrange, and professional devices, yet most people would be hard-pressed to tell them apart. Even the latest iPad Pros’ most conspicuous changes were small details like rounded screens and new accessory connectors. So when my editor asked me whether I’d be interested in writing about using my iPad Pro as my work computer, I was conflicted. On one hand, I’d love not only to be able to do that, but to write about being able to do it. But in a work environment that requires me to keep several windows open at once and occasionally jump into various background apps, using an iPad is literally impossible. And little has changed in that regard for years. On paper, using the iPad for work is feasible. Geekbench 4 benchmarks establish that my October 2018-vintage iPad Pro destroys the October 2016 MacBook Pro I use every day for work. In single-core performance, the iPad scores 5,000 versus the MacBook’s 4,000, while the iPad’s 17,700 multi-core score is more than twice the MacBook’s 8,000. The iPad even wins Geekbench’s Compute test for Metal graphics performance, rating 40,650 to the Mac’s 39,140. Based on raw computing power, anything my Mac can run, my iPad Pro can run faster. Above: The current 11-inch iPad Pro outperforms a two-year-old midrange Apple laptop. Moreover, I actually enjoy working on a small screen — my favorite overall MacBook was my old 11.6-inch Air, so my 11-inch iPad Pro would be an easy transition for work. I already love using it for non-work purposes, and routinely spend hours consuming content on it at night. With the right screen settings and the ability to open apps in overlapping windows, it would work well, with no need for squinting and minimal compromises. To pull this off, Apple would need to update iOS with macOS-like windows, as well as adding support for trackpad or other precision pointing accessories like what I described above. I’ve owned and liked both generations of the Apple Pencil, but they’re no replacement for a proper trackpad; a smaller version of the Magic Trackpad would be great. As much as I like using Apple’s Mac keyboard and pointing accessories, its iPad accessories have left me unconvinced that it has iPad users’ best interests at heart. I’ve tested Apple’s latest iPad Pro Smart Keyboard Folio, which felt cheap and ridiculously overpriced, as well as its predecessors, which felt … cheap and ridiculously overpriced. Besides Apple solutions, I’ve used plenty of third-party keyboards that only under the best circumstances were good enough to type on. Starting today, there’s a new Logitech keyboard for the iPad Pro called the Slim Folio Pro, and it gives Apple’s highest-end tablets keys that are similar to a MacBook’s — complete with backlighting, automatic on-off power management, and three months of rechargeable Bluetooth battery life. For $120 (11-inch) or $130 (12.9-inch), it’s $50 to $70 less than Apple’s Smart Keyboard Folios, and can strap in an Apple Pencil for the times you need a precision pointing device. I wouldn’t necessarily call Slim Folio Pro “slim” when it’s closed, as it roughly triples the iPad Pro’s initial thickness and adds a few extra millimeters to its edges. But it feels solid, its magnetic Pencil holder folds back perfectly, and it’s a great typing surface. If I didn’t have to keep multiple windows open, the Slim Folio Pro and Apple Pencil combo would get me very close to a usable work computer. It’s also worth noting that if I could dispense with a separate 13.3-inch laptop, I might have even considered buying the 12.9-inch iPad Pro. Unfortunately, there are too many “ifs” there, and resolving them requires not just a great keyboard case, but a better pointing solution and major changes to the iPad’s operating system. After years of waiting, I’ve stopped holding my breath for the company to do anything game-changing with its tablets. No one I know personally has successfully made the transition from laptop to iPad as a work computer, and those who once discussed it gave up long ago. That’s not to say that Apple hasn’t found business or enterprise customers for iPads — they can be nice cash registers, sales tablets, and even artists’ drawing surfaces — but for many professions, even an iPad Pro won’t do. iPads require contortions if professional users want to create articles, edit photographs, and keep in touch with coworkers, and professionals shouldn’t need to contort to work. Contortions aren’t necessary in the PC world, where plenty of people have done full transitions to convertible Surface Pros. They’re able to use the Windows environment and apps with a detachable keyboard and as-needed pointer for work, then transition to tablet-only mode for entertainment. Improbable as it might have seemed when Apple began the iPad march years ago, I now see Surfaces popping up in airports, cafes, and classrooms that used to be dominated by Apple logos. There are rumors that we’ll see a new iOS interface for the iPad this year — and perhaps more computer-focused features — at Apple’s June WWDC in San Jose. As the stories go, Apple pushed off its major iPad-focused overhaul from iOS 12 to iOS 13 in favor of resolving under-the-hood problems, a software decision that might have weakened last year’s iPad Pro sales pitch despite the complete hardware redesign. ISPs like Comcast don’t offer unlimited wired bandwidth. Instead, they implement what’s known as a data cap, an arbitrary ceiling on how much data you can download every month. Comcast’s data cap is 1,024GB, and the same is offered by Cox and CenturyLink. BroadbandNow tracks over 200 ISPs in the United States that implement caps, many allowing far less than what top-tier ISPs do. But neither Google, Microsoft, nor Sony can control the vast patchwork of wired and wireless infrastructure between their services and the end user. If a consumer is constrained by an ISP’s data cap, then it’s all for naught. 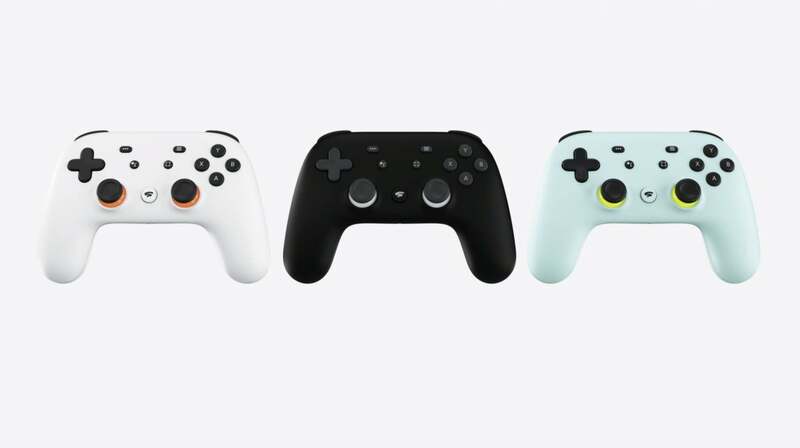 As my colleague Hayden Dingman noted, a number of the conversations surrounding the Google Stadia release concerned the data required merely to play the game. Based on additional conversations I had over the past week, it appears that such concerns are at least well understood. 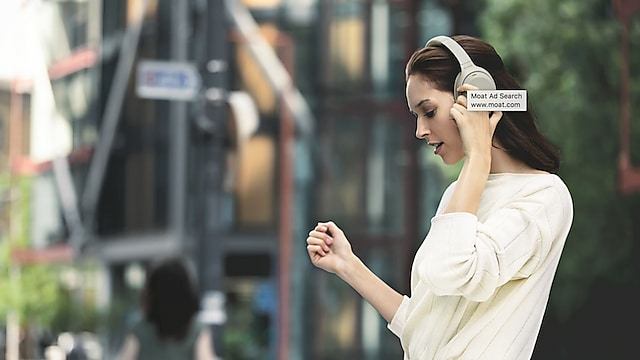 One of the fastest-growing sectors of the headphone market is the wireless noise-canceling variety. 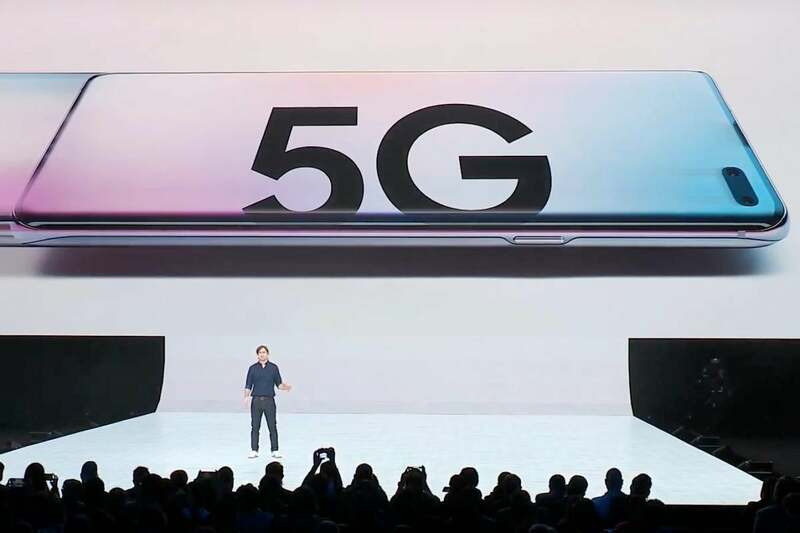 So far, Microsoft has shown XCloud in the context of streaming to a phone, so we know that game streaming over 5G will be a priority. With basic plans offering just a few gigabytes’ worth of data, it’s hard to see how anything but an unlimited plan would work. It’s a big job, and it’s likely going to take a lot of corporate firepower to get anything done. Streaming giant Netflix was an early and fairly lonely advocate, having raised the alarm about data caps since 2016. It seems likely it’ll gain new allies soon, though, if Microsoft, Google, and Sony enter the fray. Your organization is ready to move forward. Make it happen with secure devices and infrastructure designed to work the way you do. Learn more here.